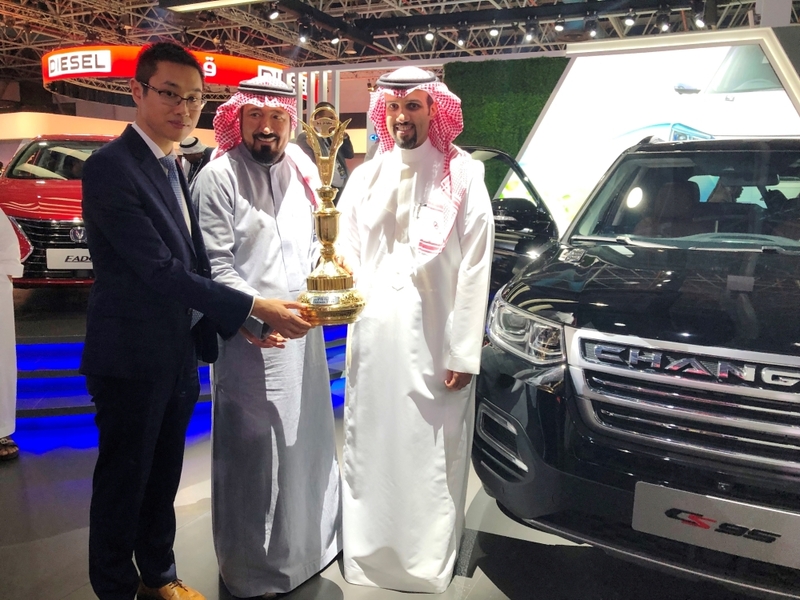 Changan CS95 has won the “Car of the Year” award in Saudi Arabia. 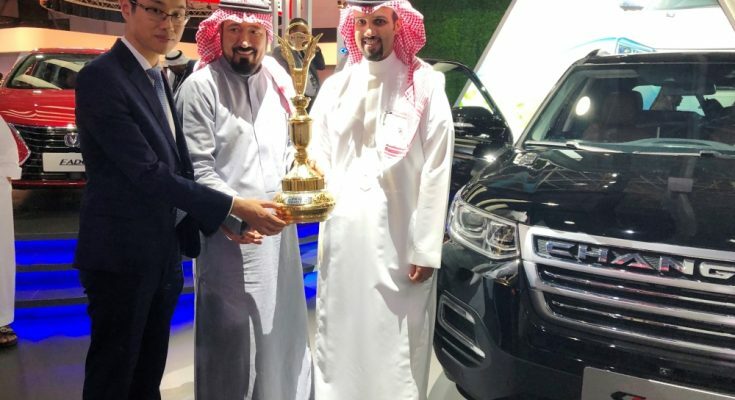 The publisher and editor in chief of Saudi Auto magazine presented the award to Mohammed Almajdouie, MD of Almajdouie Motors Company – Changan, during the opening ceremony of the 40th edition the Saudi International Motor Show. 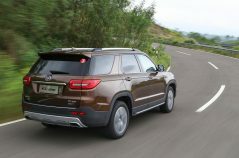 CS95 beats all other competition model entries in areas including: general design; comfort; safety; fuel economy; handling and road worthiness; performance; functionality; innovations; driver satisfaction; price; and overall value for money. 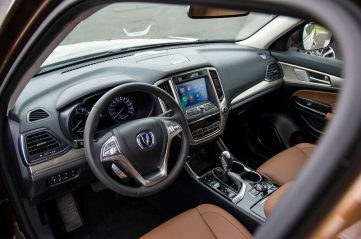 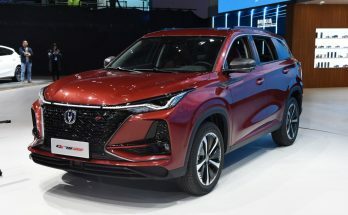 The Changan CS95 is a midsized 7-seat SUV and the largest passenger car in Changan’s portfolio. 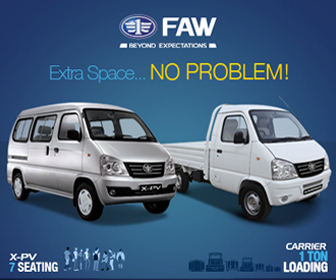 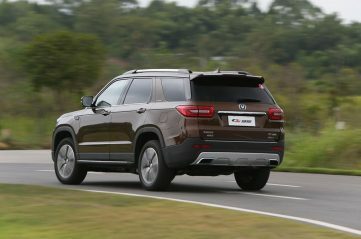 Dimension wise its bigger and wider than the Toyota Prado measuring 4,949 mm long, 1,930 mm wide and 1,785 mm tall having a wheelbase of 2,810 mm, which is again 20 mm longer than the Toyota. 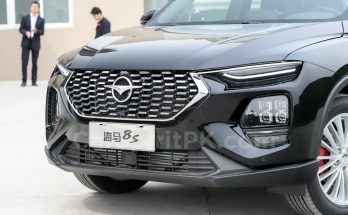 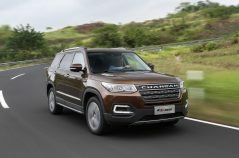 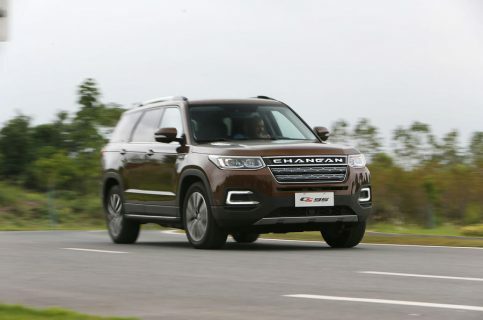 It gets powered by a 2.0 liter turbocharged petrol engine that punches out an impressive 233 hp of power and 380 Nm of torque, and is paired to a 6-speed automatic gearbox with Changan’s NexTrac AWD system.